We at the Children’s Alliance partnered with State Superintendent of Public Instruction Randy Dorn and the Washington State Dairy Council to recognize the school districts with gold, silver and bronze awards and cash prizes of $500-$1,500. 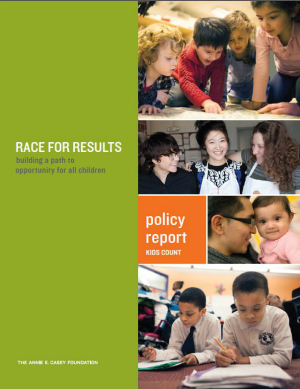 The new Race for Results report offers quantitative evidence of the barriers that prevent all our children from grasping the building blocks of success. Here in Washington and across the country, no single group of children covered by the report—African American, American Indian/Alaska Native, Asian/Pacific Islander, Latino, or white—is meeting key milestones of child well-being. But children of color, especially, face greater barriers to opportunity. Children’s Alliance was pleased to join Rep. Cathy McMorris Rodgers on a tour of St. Anne’s Children’s and Family Center in Spokane Thursday. St. Anne’s is an early adopter of Washington state's Quality Rating Improvement System, Early Achievers, which is raising the bar for child care centers and early-learning programs throughout our early childhood education system. By exercising their rights to tribal self-determination, Native American communities have a crucial means of saving lives and protecting their members’ health. Legislators are aware of this. That’s why the House Community Development, Housing and Tribal Affairs Committee held a work session Feb. 25 on the oral health needs and the use of Dental Health Aide Therapists (dental therapists) in Indian Country. President Obama and Congress have both identified early learning as an important area of investment. 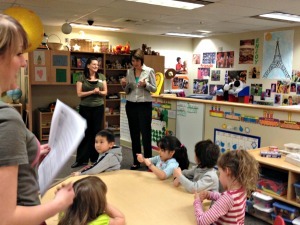 The Washington State legislature should do the same and pass and fund the Early Start Act. Our youngest kids deserve early learning opportunities that spark their curiosity, nurture their potential, and build their resilience. Consensus is growing: these opportunities lay a foundation for a strong future. But far too many children don't get the early start they need. High quality early learning opportunities are often unaffordable or unavailable to the children who need them. Children’s oral health matters for their whole bodies, and for the rest of their lives. Because oral health is vital to overall health, the Affordable Care Act (ACA) required insurance plans to take a whole-child approach and include pediatric dental and vision benefits into every health insurance plan sold. That’s why we’re working hard to make House Bill 2467 into state law. From Port Angeles to Pasco, from Walla Walla to Westport, too many of our most vulnerable neighbors are not getting the dental care they need. When kids have untreated cavities, they spend their time in school dealing with their pain, not paying attention to their teacher. When adults have toothaches and infections, they miss work. For adults who have lost teeth to decay, it can be nearly impossible to find a decent job. Seniors often suffer silently, while oral health problems worsen and make them sick. In many of our communities, our emergency rooms are left to provide expensive, stop-gap care that treats the symptoms, and not the cause of the problem. Last year, the state took great strides forward in providing insurance for more than 700,000 people in need. Seventy-one community based organizations from across the state have joined together to call for full restoration of State Food Assistance for our children, elders, and families. They distributed this letter to state legislators on Friday, Feb. 7. It’s reproduced below, or available here in PDF form. We are coming together once again from all around Washington State, from diverse communities, to call on you to restore State Food Assistance to equal benefit levels with Basic Food. All children deserve healthy food so they can thrive. But the U.S. House of Representatives and the Senate have reached agreement on a farm bill that makes harmful cuts to Basic Food, our state’s Supplemental Nutrition Assistance Program (SNAP), also known as food stamps. These cuts would harm Washington’s kids. That’s why the Children’s Alliance has asked the White House to veto the Farm Bill. The Farm Bill cut would come on top of the Nov. 1 cut in federal stimulus funding, and after a 2012 reduction in State Food Assistance. We’re working hard to restore equal benefits for ALL Washington families by working in Olympia to bring State Food Assistance benefits up to par with Basic Food. Research shows that one of the best investments we can make in a child’s life is high-quality early education. Last year, I asked this Congress to help states make high-quality pre-K available to every 4-year-old. And as a parent as well as a president, I repeat that request tonight. A year ago, President Obama released the outlines of a bold new initiative to put quality pre-kindergarten within reach of every child in America. On Tuesday night, the President reiterated his request, emphasizing the promise of early learning. We look forward to the celebration of Rev. Dr. Martin Luther King Jr., on Monday, 50 years after the start of the War on Poverty that he helped to launch. One key strategy in the War on Poverty has been a commitment to the health and well-being of America’s children, through the Supplemental Nutrition Assistance Program (SNAP, formerly known as food stamps). This session, Children’s Alliance members are asking state legislators to fulfill a key part of the American promise – basic help in hard times – by bringing State Food Assistance up to parity with federal SNAP benefits.